No Such Thing as Too Much Pitching, Right? 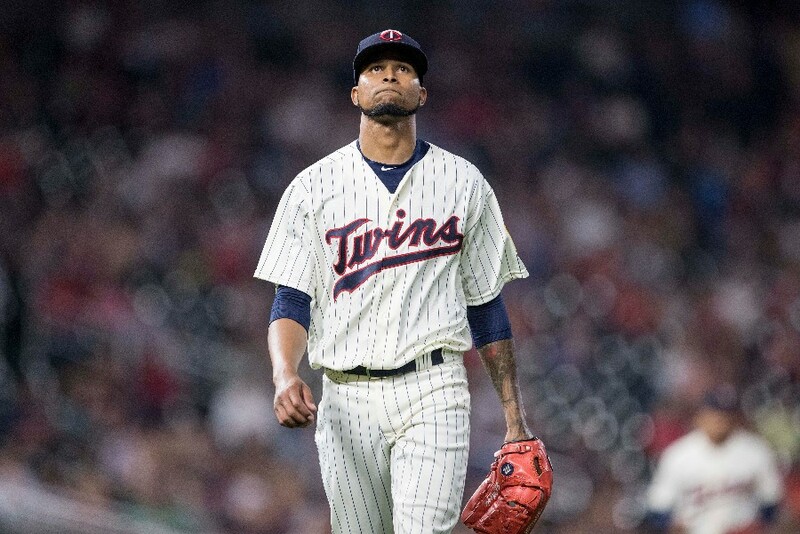 The Twins were already in pursuit of pitching this offseason, but the news that Ervin Santana will miss 10-12 weeks really emphasizes the team’s need to add to its staff. The number of pitchers in the rotation at any given time is obviously five, but how many starting pitchers can a team expect to rely on over the course of a season? Last season, the Twins used an insane number of starting pitchers. Injuries in addition to some performance issues and odd roster shuffling (the Jaime Garcia game) all made for the perfect storm, and the 2017 Twins started 16 different pitchers. Ugh. That’s an abnormally high number, but over the past five seasons the Twins have averaged 11.8 different starting pitchers, 9.8 of whom made at least three starts. Some teams are a little more fortunate. Cleveland, for example, has only averaged 8.8 different starting pitchers per season over the past five years, 7.8 of whom made at least three starts. Not everyone’s so lucky. There were 315 pitchers who started at least one game in 2017, an average of 10.5 per team. Why so many? Well, the workhorse has become a dying breed. There were only 46 pitchers in all of baseball who made at least 30 starts. If you go back just to even 2012 and look at some of these same numbers, the differences are dramatic. There were 286 pitchers to start a game that year, 9.5 per team, and 65 hurlers made 30 or more starts. Shifting gears to the Twins, let’s take a look at who’s currently in the org, keeping in mind that the team will more than likely need to depend on 10 or 11 of these guys. This isn’t a power ranking of starting pitching options per se, I’ve broken them up into categories instead. No, Ervin won’t be ready for Opening Day, but the good news is that it sounds like he’ll be back with the Twins sometime in May. So I’m still going to include him as a lock. Slegers is really close to being a lock to make at least a few starts. His status will have a great deal to do with who/how many free agent starters are signed. All four of these guys made their major league debuts last season, Jaye as a member of the Tigers. The Twins signed him to a minor league deal in late November. Duffey is going to get the chance to stretch out in spring training, but if the injury bug hits the bullpen it would be no surprise to see him shifted back there. You could say the same thing about May, Hughes and Pineda, who are all in various stages of recovering from injuries. The plan for now is to prepare May to come back as a starter, but he of all people should know that plans can change. Gonsalves has made a handful of starts at Triple-A, and is a good bet to debut sometime in the second half. But Romero (23 starts in Double-A) and Littell (14 starts in Double-A) are less experienced in the high minors. OK, so that gives us 15 pitchers currently inside the Twins organization who could realistically start at some point in 2018. That sounds like a lot, right? Sure, but there are a whole lot of question marks surrounding several of those players. Some of these names are not guys you’d trust right now to be successful at the major league level. It’d be fun to watch a couple of those rookies come up, but those guys could be in for rough adjustment due to the (idiotic) differences in the major and minor league baseballs. Remember how bad Berrios was in 2016? There’s also the fact that there will certainly be more injuries, and probably ones that keep guys out more than 10-12 weeks. What are the odds that one of these guys suffers a torn UCL or major shoulder injury? Knowing what we know today, how many more starting pitchers should the Twins add? I'd say at least two who can be counted on to be in the rotation and one more on a minor league deal. How does Yu Darvish, Jaime Garcia and Drew Hutchison sound? Is that too much to ask? How about Alex Cobb, Jason Vargas and A.J. Griffin? Fine, I'll settle for Andrew Cashner, Ubaldo Jimenez and Jesse Chavez. OK, you're right, that's taking it a little too far. What do you think? Who would you like to see the Twins target? Would you rather see them be aggressive or leave room for some of the young guns to emerge? I thought this before Santana got hurt. What is the worst that could happen? Everyone is healthy and pitching well then we have to use Mejia's option. I agree with your sign two to major league AND a flyer on a minor league contract. I think Falvine did fine with the bullpen.Hopefully they do as well with the rotation. I think Duffey is a lock to start the season in the rotation now. He might surprise like he did in 2015. Ialso feel the Twins need to sign 1 top flight starter and a flyer or two.Things may work out, but squadering the chance is not good. We could sign every available FA pitcher and still not have too much pitching. Damn, Erv - what the heck happened? Starting the season with the Ace of the staff missing the first MONTH? Not happy about this development. The scary part of Santana's surgery is that he's not likely to be effective for a while after his return, maybe even the entire season. Yesterday I saw in Puckett's Pond that Cobb's and Lynn's expected contracts were. Together it was less than Darvish, and it was for 4 years.If it's true, I'd love to have both. Unfortunate news about Santana, but at least it's not an 80 game suspension of something where he'd be gone half the season. But as the poster before me noted, Erv may not be able to contribute effectively as soon as some of us would expect or hope for. So, what to do? Last year the Twins were able to find players like Gee and Colon to fill in temporarily, but that was mid-season. Do we continue to hope for someone like Darvish or start raiding the dumpster now? I am still not ready for the panic move.I may be the only one looking at the bottom of the list - the rookies and saying - plug them in.It is really too bad to see Santana go down, but as soon as I saw Jaimie Garcia on one of the list I was ready to scream NOOOOOOOOOOOOOOOOO.Lynn and Cobb, yes. But we do not need three. We brought in enough pitching coaches to fill a roster - put them to work.Throwing money at guys that have accumulated MLB innings is not the solution I like, but letting someone within grab an opportunity and do some - that excites me.
. I agree with your sign two to major league AND a flyer on a minor league contract. I also agree, if we sign FA(s) and our prospects are awesome, they will find their way on the Twins. If we don't sign FA(s) and we push the prospects and they don't succeed we are burning options and running AAA pitchers our their every 2 to 3 days and wasting a season and making fans mad. If we sign one or a combo of 1 of the 4 top free agents and they fail, most fans will be mad at the player but accept the team was trying to win. If the plan ends up being Gibson #2 and lets see what Hughes, May and Duffey can do and hopefully a rookie steps up. I realize that signing pitchers like Cashner and Jimenez aren't going to excite many --- or any --- people out there, but someone in that "lower level" tier of veteran free agents might be able to help solidify the rotation. Out of curiosity, why are you so down on Garcia? He's not a guy I'd offer a long term contract to, but I'll gladly take him on a one year deal. Take the projections with a grain of salt, but here's how Garcia looks compared to Lynn and Cobb. I wish B-Ref had projected bWAR totals but I didn't see it. Overall from these projections they all profile to make the same kind of impact. It may be the right move to sign Garcia for 1 year instead of locking up Cobb or Lynn for 4 years a piece. I wouldn't say no to that idea either. I'd still prefer Cobb from that bunch, but having Garcia for a full year wouldn't depress me. The guys on the 40-man roster (everyone listed except Myles Jaye), are going to be using up an option year when they get sent to the minors anyway. I wish I knew how they project ERAs.I've looked, but I haven't been able to find any Steamer projections for 2017.It would be interesting to see what he projected for other pitchers in 2017.I just think it's weird that he projects Cobb's and Lynn's ERAs up a point from 2017.They're both another year past TJ surgery, and they both threw really well last year. It looks like Duffy is the fall back option if he is stretching out to start. If we get Darvish, and we should get to skip the 5th starter a few times during the first month of the season. These 2 things will lessen the blow considerably. I'm quoting spycake from the Ervin Santana Surgery thread below. I was also hoping they could skip the 5th starter in April like they did last year. Unfortunately it doesn't look like they have that opportunity this season. I don't even think we can plan to skip the 5th spot (not that teams do that very much anymore).After the opening series, we play 9 consecutive days, then we have the trip to Puerto Rico, then we play 19 consecutive days into May. Counting on Hughes or May to start this year would be criminally insane. Clown Posse insane. Just sign Yu Darvish already. I think it should be "you can never have too much Good pitching". FIP predicts future ERA better than ERA itself. Lynn and Cobb both had worse FIPs than ERAs last year (Lynn especially so). Getting a couple of lesser pitchers means the Twins can sign them to 1 year deals, that works perfectly in case a couple of these young guys pans out, if they don't then they will need to re-visit this next year also. You're not likely to know with any confidence whether these "young guys" will pan out as MLB starters 12 months from now -- they currently have virtually zero experience above AA (Gonsalves 5 games at AAA, Jorge 3, and Romero/Littell/Thorpe all with zero). 2018 is almost certainly about AAA refinement and getting their feet wet in MLB. Best case, next winter they might be in a spot like Mejia this offseason -- able to compete for an open job, ready to come up as a reinforcement if needed, but not someone to whom you want to hand a spot. The timing is perfect for the Twins to make a multi-year SP commitment, if that's what it takes to get the best SP on the market. There is a clear and obvious need today, likely one for 2019 as well given the inexperience of the prospects, and a couple current vets coming off the books before 2020 too (Ervin and Gibson, if he makes it that far). So they could've shut him down before the playoff game to have surgery, had a better chance of winning the game, AND got him back at the start of the '18 season. Sounds like a couple of missed opportunities there. We have numerous pitchers on the list of Twin controlled players who can or should match his success, so why go outside for what we already have? http://www.hallofsta...layer/garcija02 Look at his WAR - take out 2015 and he is not even a replacement pitcher.Or look at his comps - it is not a list of who's who =but rather a list of who is that. Don't mean to rant, but sometimes we try to hard to get someone from the outside to make us better, but if they do not have talent to change things we only set back those we already have. → Article: No Such Thing as Too Much Pitching, Right?